There has been discussion about the impact of US recession on Mexico Real Estate and its future prospects. When talking about Mexican Property market, it may seem that it is closely related to the US real estate. Some may very well paint a gloomy picture for Mexico Real Estate market. But an in depth study of Mexico Real Estate will reveal a bright future for Mexican Real Estate in the coming year. The real estate in Mexico has witnessed steady appreciation in the last 5 years. Both, homes and condos in Mexico, new and resale have contributed to this growth. The real estate market in Mexico is usually popular with American citizens who look for a second home or vacation home in Mexico. The reasons for this popularity have been its close proximity to USA, low cost of living, better value for money and a warm sunny climate. 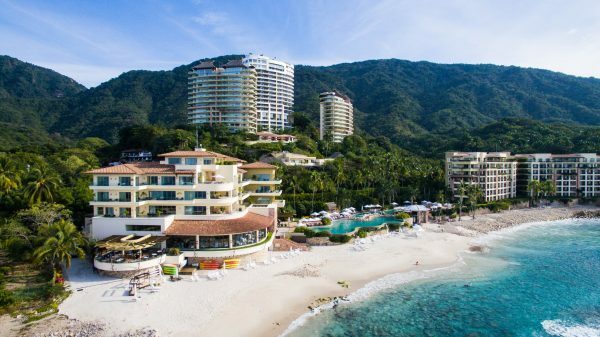 Recent years have seen thousands of American expatriates buying retirement homes in Mexico. Moreover, infrastructure in Mexico has improved to international standards. This has made Mexico a much sought after destination. You may very well ask why Mexican Real Estate industry won’t suffer as a consequence of the recent fall of US economy. Destination like Cancun, Playa del Carmen, Puerto Vallarta , Baja California region are very popular with real estate investors in Mexico. These areas are continually seeing new and grand real estate projects conceived and completed to meet the demands of the buyers eager to buy real estate in Mexico. With the introduction of Mortgage financing for foreign real estate investors in Mexico, the increase of foreign investment has strengthened the growth of real estate market in Mexico. Since, the lending process and criterion for foreign real estate investors has been simplified, it has served in increasing enthusiasm for Mexico real estate. Mexico real estate market is much more stable than US real estate market. The residential mortgage backed securities, popular in the US property market, are not common in Mexico, so have a much less effect of the sub prime crisis afflicting US economy. Another factor is that the buying market who are looking for the second vacation home is not really experiencing too much of the current recessionary effects in America.